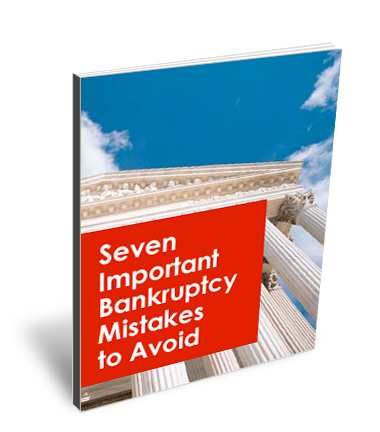 Seven Important Bankruptcy Mistakes to Avoid! 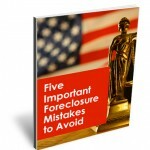 Home » Seven Important Bankruptcy Mistakes to Avoid! In my over twenty-three years of practicing law, I have seen many common mistakes that individuals make before they consult an attorney regarding their options under bankruptcy. If they had consulted with an attorney earlier, these mistakes could have been avoided. It is very difficult to make the decision to pick up the phone and call an attorney to make an appointment for a bankruptcy consultation. Some people feel embarrassed, while others feel a sense of failure. Most clients I meet never want to sit across from me to talk about bankruptcy, as it is their belief that they should pay their debts. However, due to circumstances beyond their control, the majority of my clients have been put in a difficult financial position as a result of outside forces such as a job loss or an extreme devaluation of their home. One must remember that bankruptcy has lost the stigma it once had in the public’s eye. This Special Bankruptcy Report is provided as a courtesy from the Martella Law Firm, P.L. to help you avoid the many pitfalls we have seen people make over the years and we hope that this advice will benefit you whether or not you use our firm to assist you in getting relief from your debts and making a fresh start for the next chapter of your life. REQUEST YOUR FREE SPECIAL REPORT!